“I felt the spirit of Aurora reading the book. She could have better life after going to America but she decided to tell her story to the world to prevent this kind of tragedy to happen again. It is very meaningful for all of us,” Ta Wei Wang says. Ta Wei Wang thinks that people are not very much aware of Armenia, Armenians and the Armenian Genocide in China and South-Eastern Asia. This is why the translation of this book can partly address that issue. “I though it's necessary to let Asian people to know about the genocide because it is a huge tragedy. The challenge is that it will be difficult to Chinese readers to understand the boundary between the religion and history. Why you would like to keep your faith under this kind of threat?” questions the translator of the book. 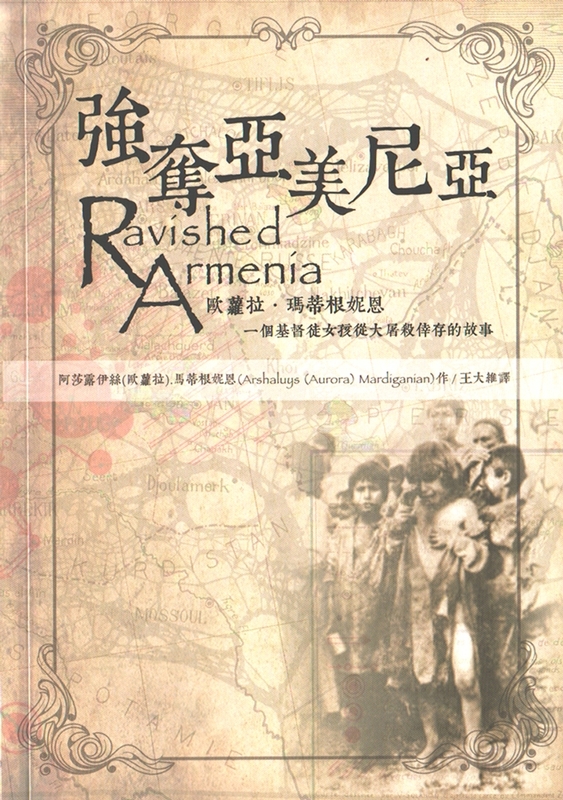 The first publication of “Ravished Armenia” in Chinese was released in 2016. The second publication is under preparation. The book is based on the testimonies of the Armenian Genocide survivor Aurora Mardiganian. It was first published in English in 1918 in the US.